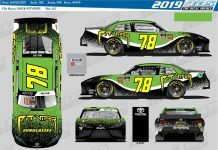 MOORESVILLE, N.C. — James Buescher will drive the No. 1 Miccosukee Resort & Gaming Chevrolet fielded by Phoenix Racing full time in the NASCAR Nationwide Series next year. In addition to the 35-race Nationwide schedule, Buescher will also compete in a minimum of 19 NASCAR Camping World Truck Series events, driving the No. 31 Chevrolet for Turner Motorsports. Buescher has spent the 2009 season driving a full schedule in the Truck Series as a teammate to Rick Crawford at Circle Bar Racing. He also ran a limited ARCA RE/MAX Series schedule, were he won two races in four starts. 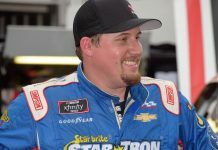 The Texas native competed in six NNS races in 2008, claiming a career-best finish of seventh and one pole at Memphis (Tenn.) Motorsports Park. Phoenix Racing has been without a regular driver since the team released Mike Bliss earlier this season. 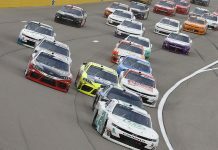 The team has used a number of drivers, including Sprint Cup regulars David Gilliland, Martin Truex, Jr., Ryan Newman and Reed Sorenson, to fill the seat since then.